An unarmed suspect robbed an Elk Grove drugstore last night. 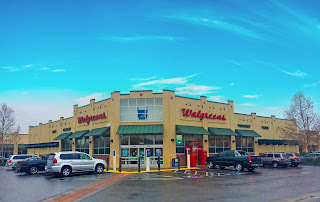 Shortly after 9 p.m. an unknown suspect entered the Walgreens store on Elk Grove-Florin and Bond Roads and approached an employee at the cash register. The suspect verbally demanded money and fearing for her safety, the employee complied. The suspect fled with an unknown amount of cash and was described as a white male adult, mid 40s 5’10”, 230 lbs. wearing a black baseball hat, gray t-shirt and blue jeans. Responding officers were unable to locate the suspect.